Some believe it to be the forbidden fruit of the Garden of Eden. It’s still seen as a symbol of abundance, fertility, and fortune in many parts of the world. Native to the Middle East and cultivated in the Mediterranean and the Americas, the pomegranate has long been cherished for its distinct flavour and health benefits. 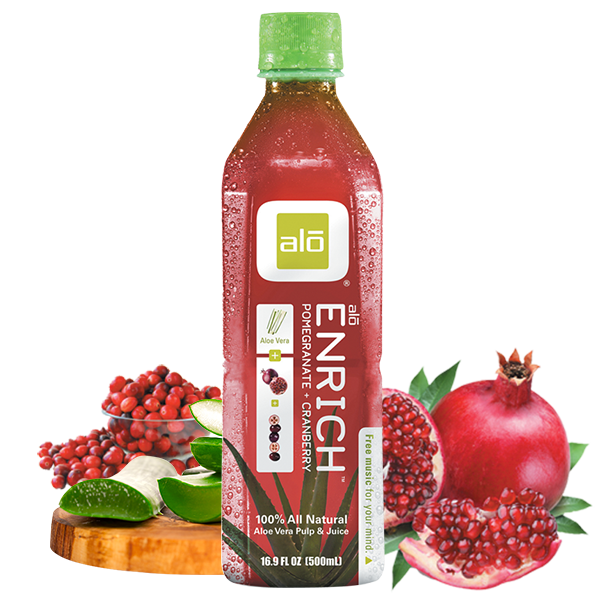 Paired with the tart cranberry and real aloe vera juice, the pomegranate stars in our newest blend, ALO Enrich. 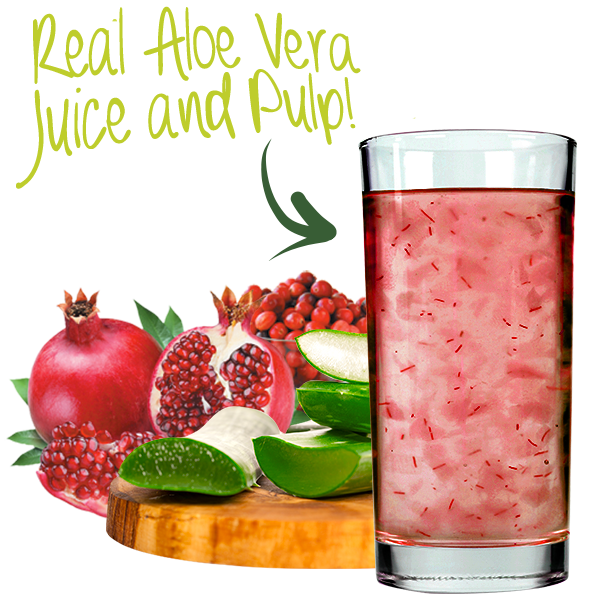 Aloe vera : Ancient healer filled with vitamins, minerals and essential amino acids. 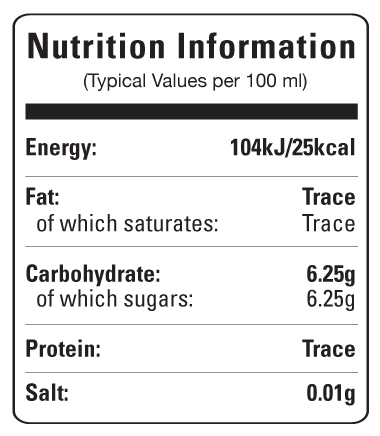 Fuji Apple : Apples are extremely rich in important antioxidants, flavanoids, and dietary fiber. Pear : Health benefiting nutrients such as dietary fiber, anti-oxidants, minerals and vitamins.